CANADA ONLY. 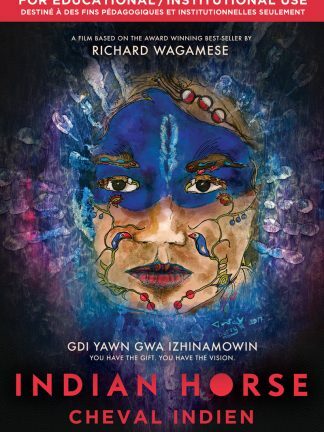 This DVD contains the full feature-length film of Richard Wagamese’s award-winning novel, Indian Horse, licensed for unlimited classroom and institutional use, including a version dubbed in French. Special perk with this offer: You’ll also get access to online interactive learning modules and a free digital download with the same license. You may use this version for community screenings as well. Exclusively available for educational markets in Canada, this DVD contains the full feature-length film licensed for unlimited classroom and institutional use, and includes a version dubbed in French. Online interactive educational materials are being created at https://education.indianhorse.ca, and you will receive login access once your order is completed and shipped. Special perk with this offer: a free digital download with the same license. You may use this version for community screenings as well. 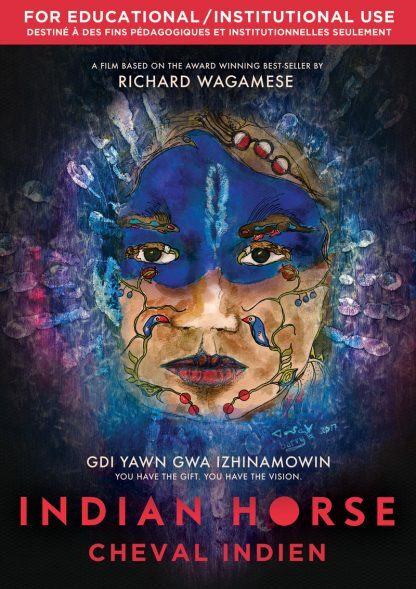 An adaptation of Richard Wagamese’s award-winning novel, Indian Horse is a survivor’s tale that foregrounds the resilience of the Indigenous Peoples of North America in the face of aggressive assimilation policies and racism. In late 1950s Ontario, eight-year old Saul Indian Horse is torn from his Ojibway (Anishnaabe) family and committed to one of Canada’s notorious Catholic Residential Schools. In this oppressive environment, Saul is denied the freedom to speak his language or embrace his Indigenous heritage while he witnesses horrendous abuse at the hands of the very people entrusted with his care. Despite this, Saul finds salvation in the unlikeliest of places and favourite Canadian pastime — hockey. Fascinated by the game, he secretly teaches himself to play, developing a unique and rare skill. He seems to see the game in a way no other player can. His talent leads him away from the misery of the school, eventually to the Pros. But the ghosts of Saul’s past are always present, and threaten to derail his promising career and future. Forced to confront his painful past, Saul draws on the spirit of his ancestors and the understanding of his friends to begin the process of healing. INDIAN HORSE stars newcomers Sladen Peltier, Ajuawak Kapashesit and Edna Manitowabi as well as Forrest Goodluck (THE REVENANT), Michael Murphy (AWAY FROM HER), Michael Lawrenchuk (TOKYO COWBOY), Johnny Issaluk (TWO LOVERS AND A BEAR) and Michiel Huisman (THE AGE OF ADELINE). This is an important film for Canadians to view, particularly young people. 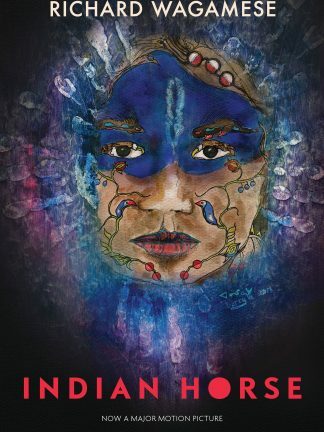 Understanding the willful destruction of culture, institutional racism, the governmental disrespect for family and community units that residential schools rained upon these unfortunate Indigenous people might also help us heal a broken world.